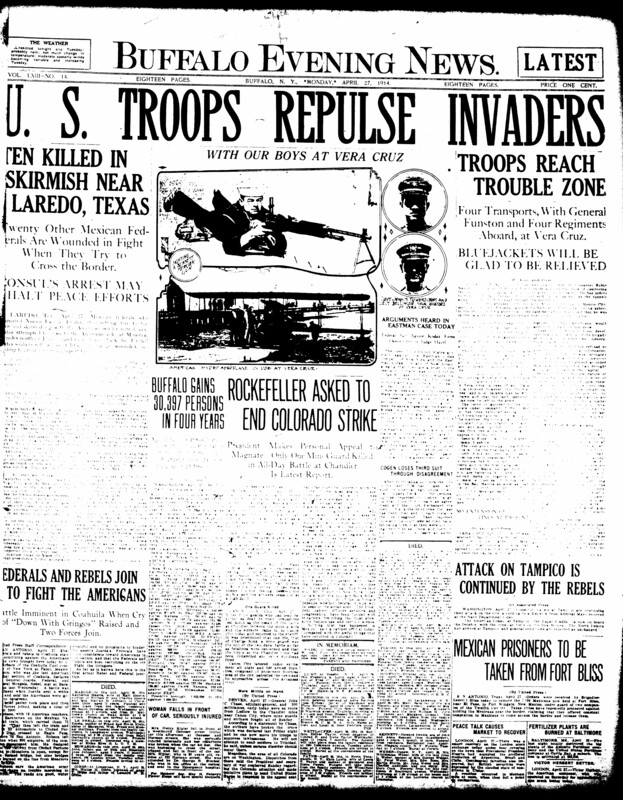 Four regiments' worth of U.S. troops arrive at Veracruz, where they "repulse invaders." 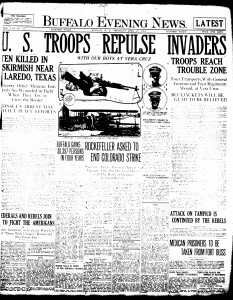 Ten people are killed in a skirmish near Laredo, Texas; "federals" and rebels join the Mexican fight against the U.S. The president asks magnate John D. Rockefeller Jr. to put an end to the strike at the mine he owns. The City of Buffalo's population grew by 30,397 people in four years.